So this past week has probably been the most stressful in a long long time but things are finally starting to fall into place, so I treated myself to a little bit of retail therapy today, clothes shopping mostly but I couldn't walk past LUSH without having a little look. I have only ever tried LUSH Cupcake from the fresh face mask collection and it is delicious I have bought it on several occasions but because I am no longer working around animals my skin is less oily so I thought I would go for LUSH Love Lettuce. (You will have to excuse the pictures, my camera USB cable seems to have either been packed away, grown legs and run away or got left behind at my old house so I will be using my Blackberry untill I get a new cable). "Effective, exfoliating face mask to give normal to oily skin a radiant glow. With polishing almond shells, softening almond oil, soothing lavender oil and the magical tightening action of Fullers Earth." Compared to Cupcake (which I reviewed here) it is still thick but a lot easier to apply, cupcake I find is super thick and I always use much more than I really need to as I find it hard to spread. 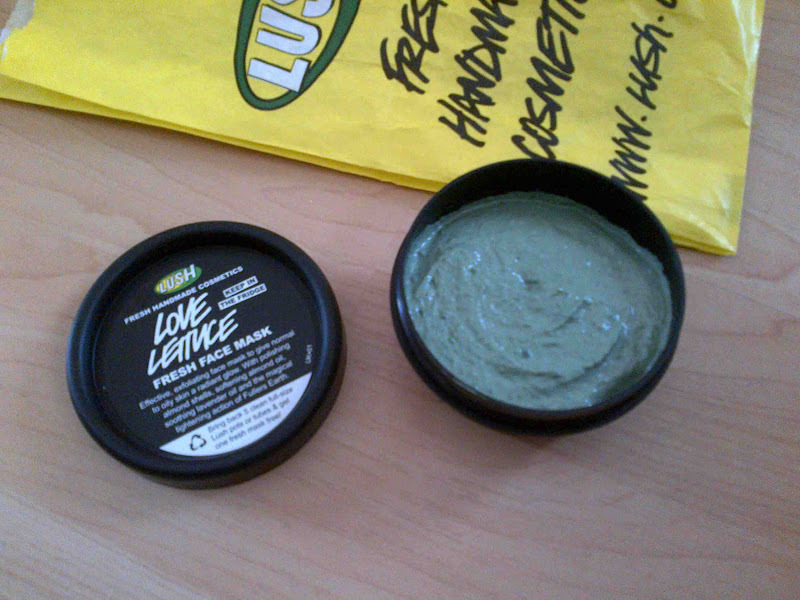 Love lettuce is super easy to apply and the crushed almond shells gently exfoliate the skin while applying. For me there is one downside to this face mask and that is the smell (stupidly I didn't smell it before buying it), it smells quite strongly of lavender, but this is down to personal preference and luckily for me once I had washed it off my skin I couldn't smell it. I didn't want to scare you with a picture of me wearing it (like I did in my cupcake review - not a pretty site) so here is what it looks like on my hand. 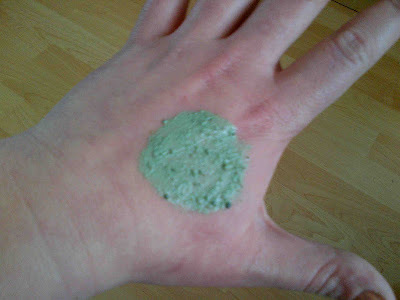 Overall my skin felt cooled and smooth and I really like how it doubles up as an exfoliater. These fresh face masks cost £5.95 for 75g tub, the tub looks tiny but I always manage to get a minimum of 5 faces out of it so it's great value! Have you tried the LUSH fresh face masks? 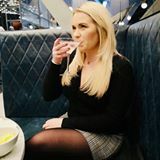 Ooh, thanks for this review, I have been pondering over this face mask for the past few days :) it sound lovely! Definitly go and have a look at the LUSH range, I think they have around 8-10 for different skin types. I am very impressed with it and will use it all up but may chose another one next time only because the smell is not for me, it works brilliantly though! I seem to be the only one who hasn't tried it! It's great ow it doubles up as a scub too. I hate it when I forget to apply peeling or mask on my face for a long time. While you're waiting for your mask to dry you can also put it on your hands. WOW! What a great tip! Thankyou hun! 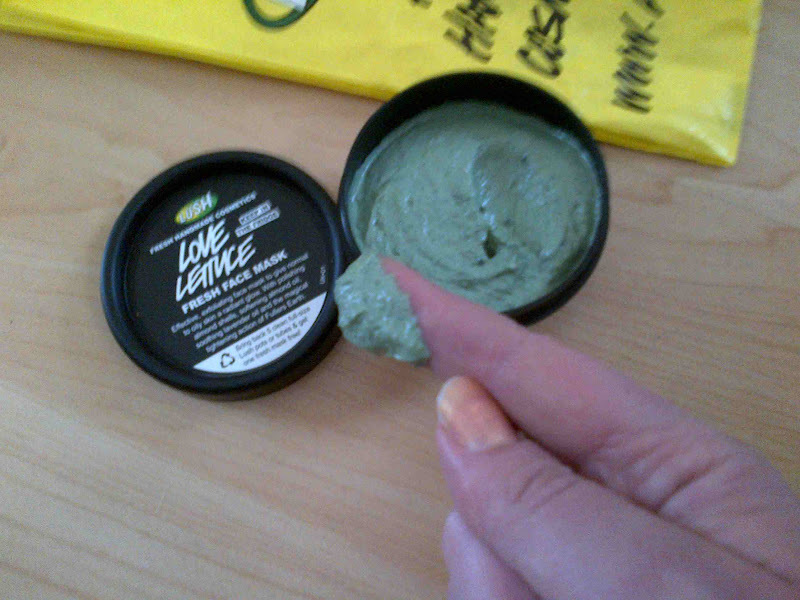 this is one of my favorite lush products, even though it does make you look like the hulk for 5 mins!